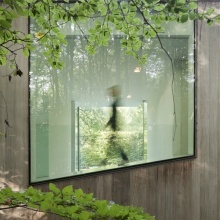 Tim Van de Velde is a Brussels-based freelance architectural and interior photographer. For more than a decade he has been translating his passion for architecture into highly stylised images that combine the creative and technically high standards he sets for himself. Translating space, light, colour and mood into an aesthetic document and paying close attention to composition are guidelines that run throughout work. Over the years, Tim has worked an assignments for architects and designers, commercial shoots and editorial assignments in Belgium and abroad. This has resulted in a highly diverse portfolio, containing not just architectural but also portraiture, landscape and documentary photography. Tim Van de Velde isn't following anyone yet.